I was flying home from a family visit this week, sitting in an aisle seat with two passengers to my left, and three across the aisle. The setting sun streamed through the window from across the aisle, directly into my eyes and those of the passenger seated next to me as we were both trying to read. Had the person in the window seat - and in control of the shade - been aware of the people and conditions nearby, an awkward and uncomfortable series of exchanges would have been avoided. Yes, the person sitting next to the window has the right to enjoy said window. But he also has an opportunity to win the social day by choosing to be considerate of the needs of others seated near him. Being intentional about how you conduct yourself as a person makes it easier to see the value of etiquette. It is the foundation that good relationships are built upon, along with the added virtues of patience, kindness, and honesty. Socially or professionally, the most valued relationships are those in which people like and trust each other. If people don't like and trust you, you have no way of influencing them and there is little chance they will want to spend much time with you. However, showing respect, courtesy, and kindness to someone, and also showing them you treat other people in the same manner, builds a positive impression. 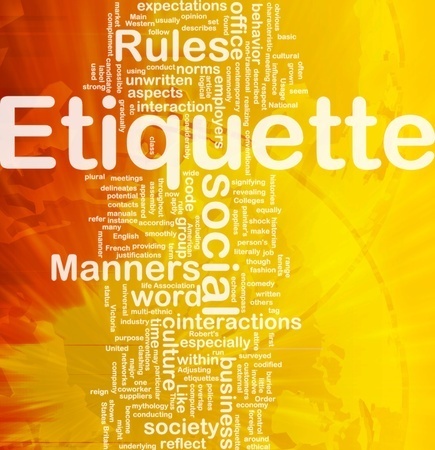 Following are the five most important ways you can use etiquette to win friends and influence other people. Choose to be mindful and aware of the immediate needs of other people near you. The situation described above is a perfect example. I also include digital and social networking in this tip. What, how, and when you are communicating is the context for demonstrating that you know what to do and how to handle yourself. It shows that you care! Aim to be respectful of every person you meet. This requires knowledge of what respect looks like to other people in an array of situations and circumstances. Letting that twinkle of courtesy in your eye reflect in the way you comfortably show up with others is a demeanor we can all practice daily. Aim to learn what is becoming and appropriate. This will vary according to situation and circumstances - practicing empathy by thinking of how we might feel in a certain situation were we to be on the receiving end. And it means learning and being mindful of the rules that people operate with and through in their daily lives. Seeking to know what is expected in social situations puts you ahead of the curve. Include a daily dose of genuine small talk in your social diet. Sometimes our moments of life seem to zip by so quickly that we later wish we'd stopped and smelled more roses. An antidote to this is to consciously create meaningful, even if minimal, interactions with people you encounter. Whether standing in line, going for a walk, noticing a neighbor, or introducing yourself in a local shop, you are in real interaction with others. Intentionally taking time every day to treat others as you would hope to be treated yourself is just what small talk helps occasion. Watch your empathy score increase! Give up the habit of complaint! Etiquette doesn’t allow for it, and stepping aside from being dramatic and emphatic will open up more time to practice your good habits of listening and learning. We all want to possess the ability to get along with others, even in tense situations. The practice of etiquette skills gives you the confidence to navigate most environments comfortably and with a sense of grace. But actually, you're simply showing respect, mindfulness, and kindness wherever you go, and to whomever you meet. This is probably the best etiquette tip anyone could share. 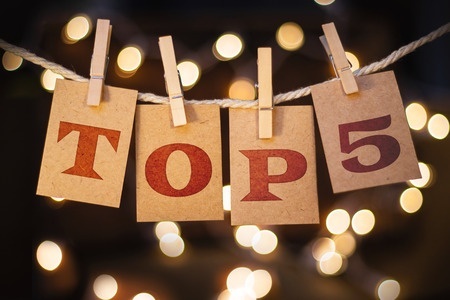 Download your copy of my Top 5 Etiquette Tips here!